Today is the first recipe day for the around the Islamic world food and travel extravaganza. Todays’ post comes from Becky of Kid World Citizen. She’s a mom, blogger, and amazing woman! Enjoy today’s post from Indonesia. Indonesia is not a country we hear a lot about, yet it is the fourth largest country in the world after China, India, and the US. In addition, the country with the largest Muslim population is Indonesia. My kids and I wanted to learn a little more about Indonesia, so we took out both nonfiction books and some funny folktales. Then I asked friends from Indonesia for a typical recipe to break the fast in Ramadan. Kolak pisang is an Indonesian dessert, especially popular for Iftar during the month of Ramadan. 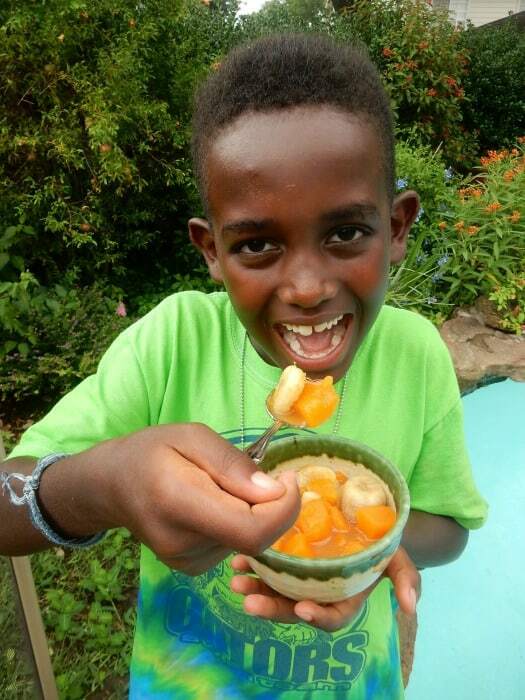 Kids and adults enjoy the sweet, fruit-infused syrup- the coconut and vanilla don’t overpower the banana and sweet potatoes, but give them the perfect tropical touch. 1) First, peel the sweet potatoes and yucca (we didn’t have yucca at home and so we omitted it). Cut them into bite-sized cubes. 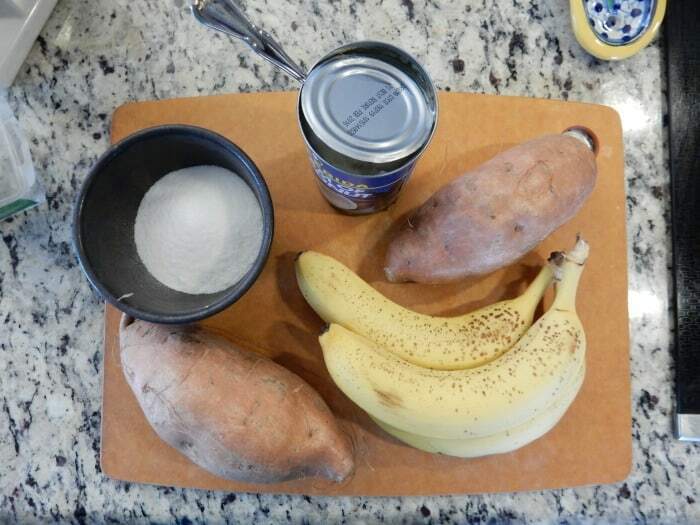 2) Fill the pot with the sweet potatoes, yucca, and white sugar, and add enough water to cover them fully. Gently boil them until they are soft and the liquid has formed a syrup. 3) While cooking, have your kids peel the bananas and cut them into slices. 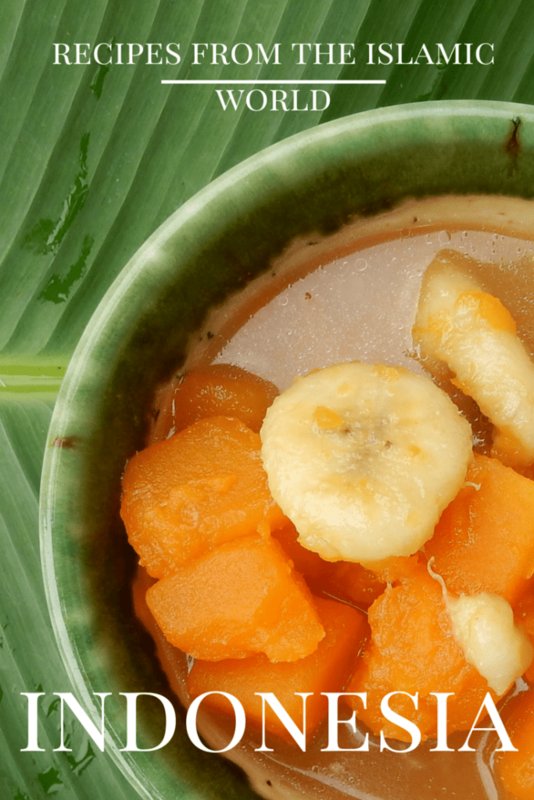 4) When the sweet potatoes are tender, lower the heat and add the coconut milk, sliced bananas, salt, and vanilla. It’s best not to boil the mixture, but just slowly cook the bananas. We hope you enjoyed this treat. My kids absolutely loved it, and asked if we could make it again. Desserts are an easy way to win over picky kids and encourage them to try new tastes and textures- all 5 of mine love the kolak pisang! 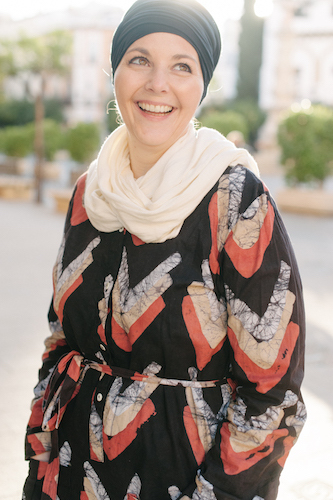 You can follow Becky at her blog, and on Facebook, Twitter, Pinterest, and Instagram. Good on you for trying an unfamiliar recipe, Becky! I’m so glad your children found a new favorite! Pandan leaves are a challenge to find in the US, but occasionally Asian markets will have them. It’s not exactly the same flavor but you can buy pandan essence on Amazon, if you really want to try it.